Gamifant® (emapalumab-lzsg) is a monoclonal antibody indicated to treat primary haemophagocytic lymphohistiocytosis in paediatric and adult patients. Photo: Business Wire. Gamifant® is the first FDA- approved drug for the treatment of primary HLH. Image courtesy of Nephron. Gamifant® is an interferon gamma (IFNγ)-blocking antibody developed in Chinese Hamster Ovary cells. Gamifant® (emapalumab-lzsg) is an interferon gamma (IFNγ) blocking antibody indicated for the treatment of primary haemophagocytic lymphohistiocytosis (HLH) in paediatric and adult patients. Developed by Novimmune, Gamifant® is approved for the treatment of primary HLH, including patients that are intolerant to conventional therapies such as steroids and chemotherapy. Gamifant® was granted a rare paediatric disease designation by the FDA in August 2017. The European Medicines Agency (EMA) declared the drug to be eligible for priority medicine (PRIME) in June 2016. The drug also received breakthrough therapy designation from the FDA in March 2016. Novimmune submitted a biologics license application (BLA) for the drug to the US Food and Drug Administration (FDA) in March 2018. The application was accepted under priority review status in May 2018. Novimmune also submitted marketing authorisation application for the drug to the EMA in August 2018. 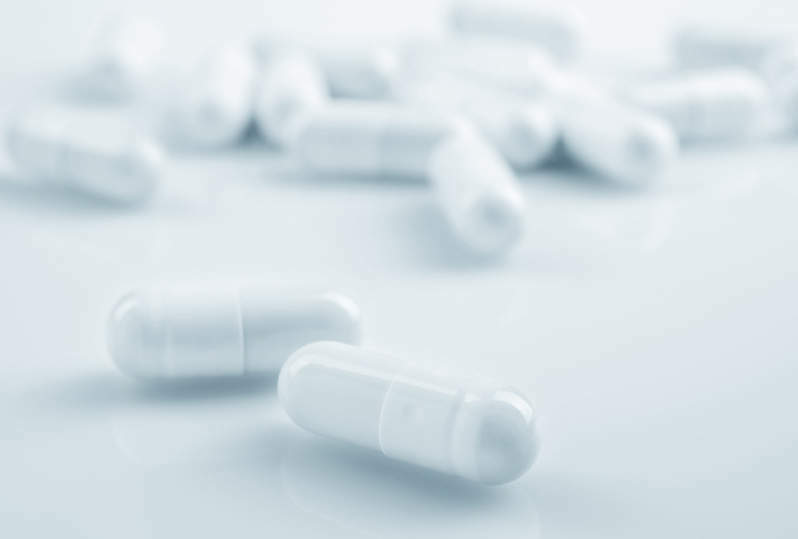 Gamifant® was approved by the FDA in November 2018. It will be marketed by Swedish Orphan Biovitrum (Sobi), which acquired the global development and marketing rights to the drug in August 2018. 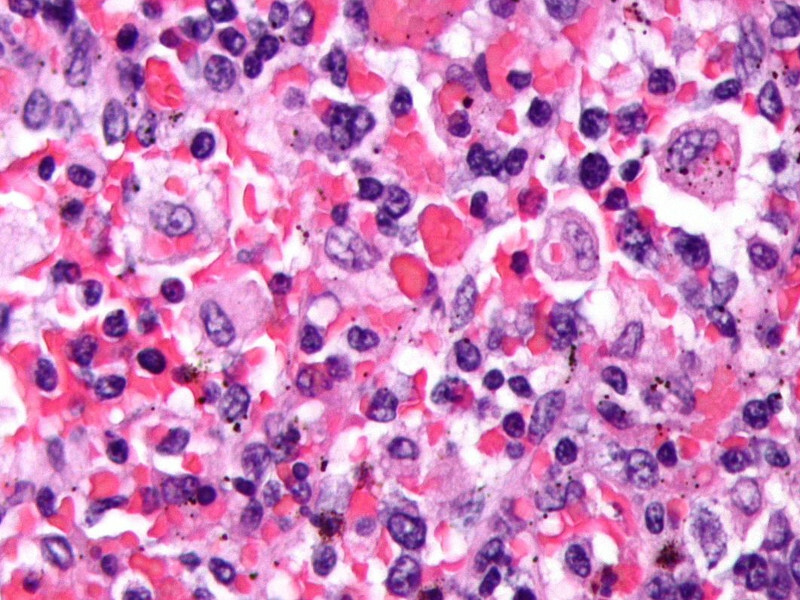 HLH is a rare, rapidly-progressive and fatal disease of hyper-inflammation that manifests within the first year of life with high morbidity and mortality. HLH can be classified as either primary or secondary. The disease is caused due to overexpression of IFNγ, which leads to hyperactivation of the immune system and causes multiple organ failures. Less than 100 cases of primary HLH are diagnosed in the US a year. The median survival of the newborns diagnosed with primary HLH is less than two months. Some of the common symptoms of the disease include fevers, liver and spleen swelling, severe lowering of red and white blood cell counts, bleeding disorders, infections, neurological symptoms, organ dysfunction and organ failure. 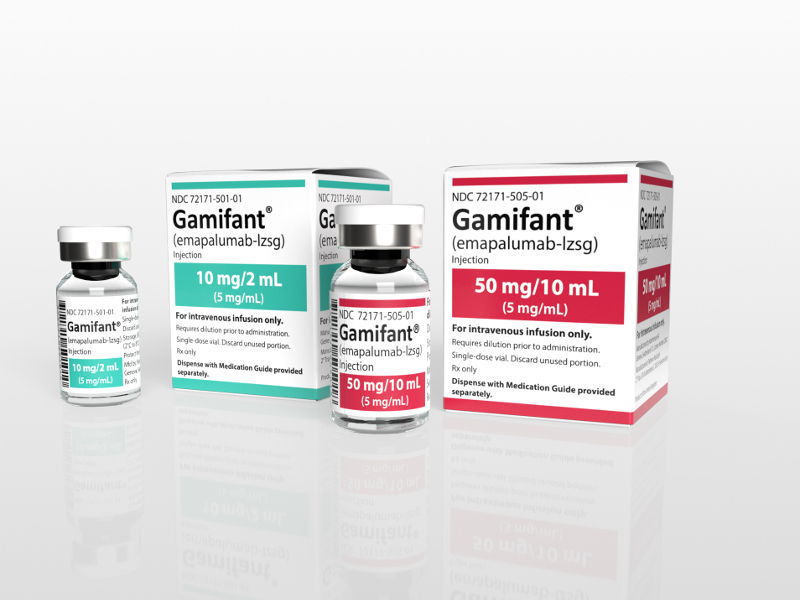 Gamifant® is a monoclonal antibody (mAb) that binds to the IFNγ and neutralises the antibody. The drug also reduces the plasma concentrations of CXCL9, which is a chemokine induced by IFNγ. 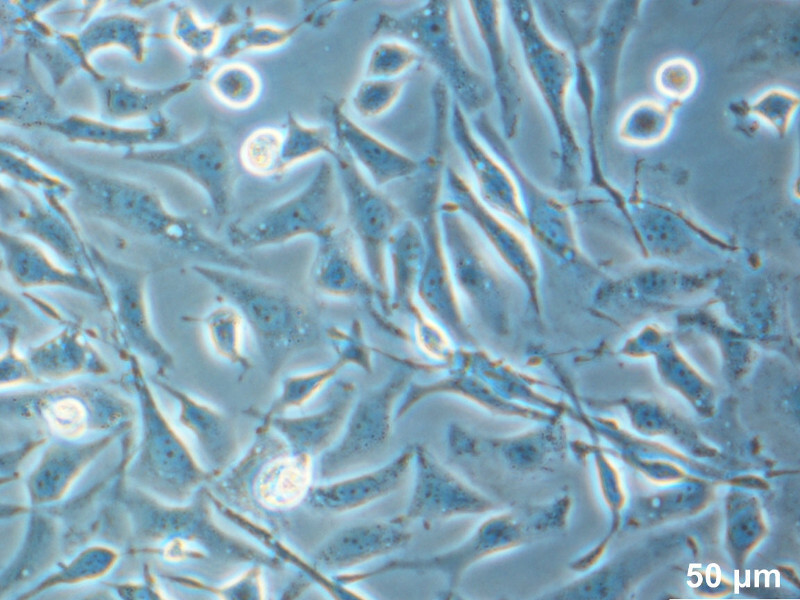 It was developed in Chinese Hamster Ovary (CHO) cells using recombinant DNA technology. The drug is intravenously administered in combination with the steroid therapy dexamethasone twice a week until hematopoietic stem cell transplant (HSCT). Gamifant® is available as a sterile, colourless solution in single-dose vials for intravenous use. The drug is available in 10mg/2ml or 50mg/10ml emapalumab-lzsg at 5mg/ml concentration. The FDA’s approval of Gamifant® was based on the positive results of a global, multi-centre, open-label, single-arm pivotal Phase II/III clinical trial named NI-0501-04 (NCT01818492). The eight-week trial enrolled 34 patients with primary HLH, out of which 27 patients were diagnosed with recurrent or refractory HLH. Gamifant® was administered along with dexamethasone to the 27 patients to evaluate the efficacy of the drug. The primary endpoint of the study was overall response after treatment completion. A total of 63% of patients demonstrated overall response rate (ORR) of complete or partial response or HLH improvement. A total of 26% of patients achieved complete response, while 30% achieved partial response and 70% proceeded for HSCT. The study was completed by approximately 74% of patients, while 26% of patients were prematurely withdrawn. The most common adverse events reported during the trial were infections, hypertension, infusion-related reactions and fever.